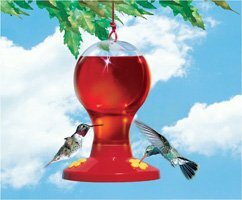 About Hummingbird Feeders.Choices and Styles. "Light Show" in the dark of the night! Feeder materials such as plastic and blown glass are popular. Plastic feeders are inexpensive but there are elegant and decorative hummingbird feeders, made of hand blown glass and crafted copper. One style is a dish or tray type feeder. This platform type usually has a tray or dish which holds the nectar and has several ports serving as access holes to the nectar. The image below is one of the HummZinger line. 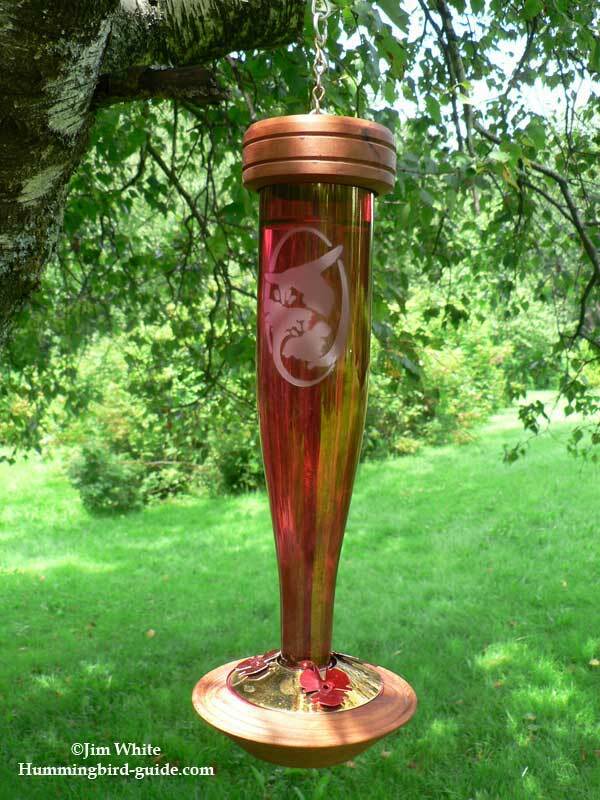 To be honest, this is one of our favorites and our hummingbirds are a testimony to its appeal. 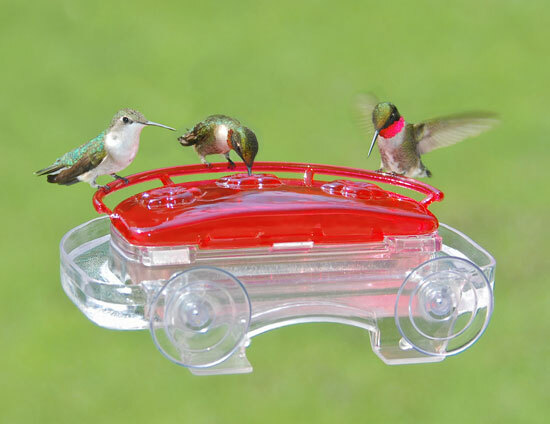 It is one of the most popular among our hummers. The perch completely surrounds it offering a relaxing break for a very busy hummingbird. Another benefit of the perch is that photography is a snap! Yes, there is a pun intended. Trying to snap a photo of a hummingbird in flight or hovering is hard to do without specific camera settings to freeze the little guy in motion. While a hummer at rest on a perch is much easier and usually just the simple or auto mode of a camera will suffice in capturing a crisp and clear picture. These are easy to take apart, clean and fill. They are not prone to leaking. Open visual setting without a bottle/container blocking your view of hummingbirds feeding for great hummingbird photography. The tray feeders don't hold much nectar because of a smaller capacity so they will need to be refilled more often. Another style is the bottle with a tray type feeder. This type of feeder which operates by vacuum with a bottle/container serving as the reservoir for the nectar. Some of these come with perches and some without. The photos below are two examples of basic bottle types with and without a perch. 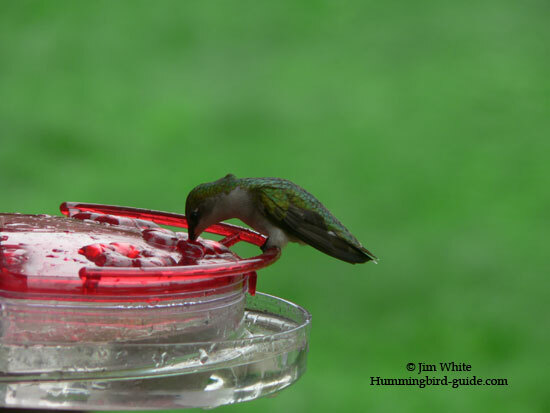 One thing to consider about hummingbird feeders is that you should pay attention to how easy they are to clean and fill. 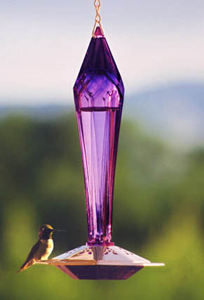 The photo below on the right is the Dr. JB's hummingbird feeder and one of our favorites. 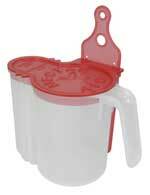 It is very durable, easy to clean and very easy to re-fill. Easy to see the nectar level. 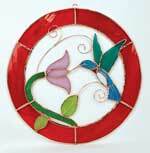 Available in a wide array of attractive shapes, colors, and intricate details. More difficult to clean and fill than the basic "tray" feeder. Cheap plastic containers can break down from the effects of the weather. If a tiny crack or hole develops, this will break the vacuum and leaks occur which will attract insects. 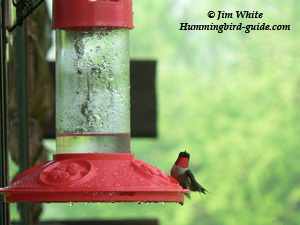 See my Hummingbird Feeder Reviews. Still another type is a bottle with a tube style. 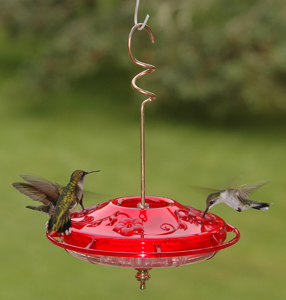 More about hummingbird feeders of this type; they are very dependent on a good vacuum to prevent them from leaking. You must fill these with your nectar completely to the top before inserting the tube. They sometimes leak if placed in direct sunlight because the bottle will expand from the heat. These are easy to take apart and clean with a bottle brush. 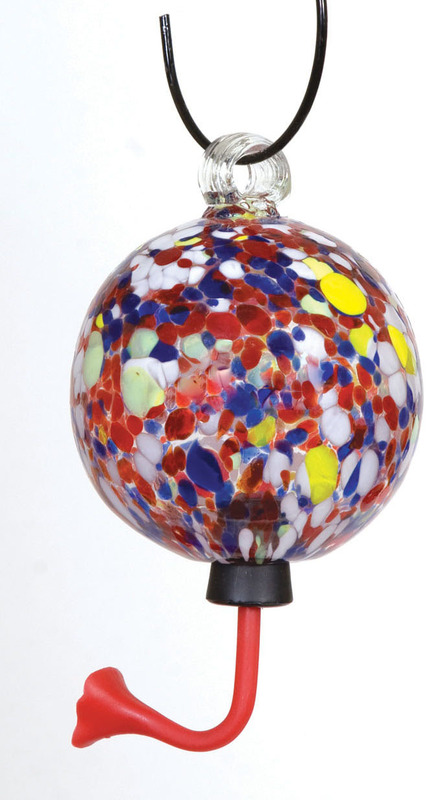 They can be very attractive made from blown glass. They are prone to leaking if not filled completely or placed in direct sunlight. See Our Instructions on using Tube Feeders. There are those that hang with hooks, others stick to a window and others stake into the ground or into a hanging flower basket. Here is as flower basket feeder that is hanging from our porch roof which we enjoy watching while sitting on our porch swing. The window type can provide an up close and personal entertaining show! 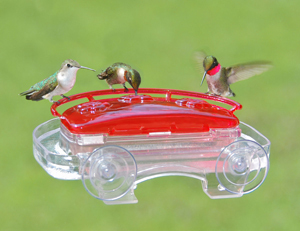 Learn more about hummingbird feeders for your window enjoyment! The photo below is our Aspects model which is mounted outside our kitchen window. This is our favorite because of the nice features. The features we particularly like is the ant moat, the reservoir can be removed from our window for cleaning and re-filling and a great feature is the close photo opportunity right from the window. 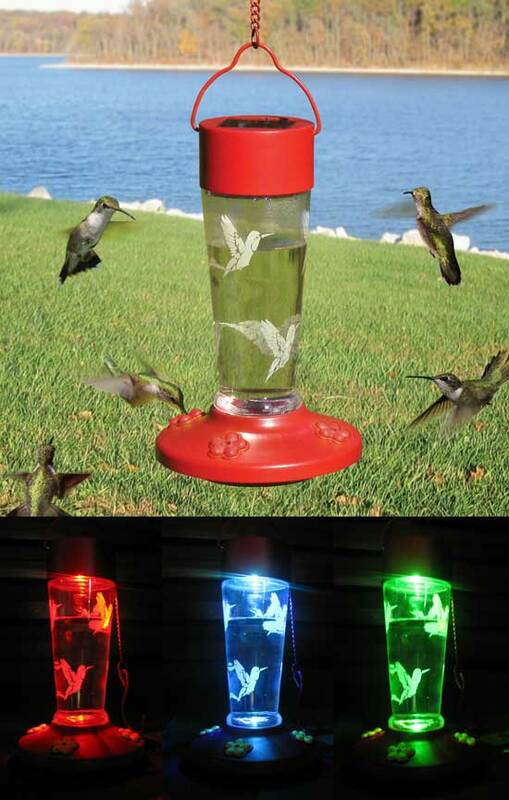 Here is a unique feeder (a solar hummingbird feeder) that has a solar top which will glow different colors at night. We have one hanging outside our dining room window and enjoy a "light show" every evening! Kits are available which include the tray and hanging apparatus while you supply the recycled bottle (a common bottle with a screw top). 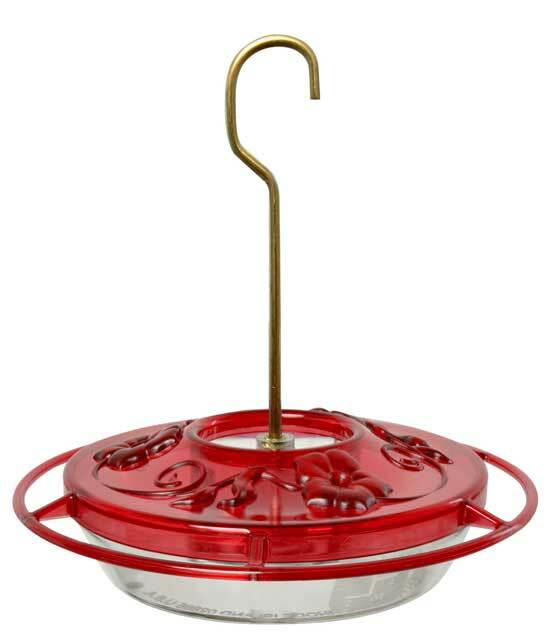 Are you still wondering what is the "BEST Feeder" to attract hummingbirds? Keep in mind that location is critical for their placement. When placing a new one for the first time, you should try to position it close to flowers in the wild, in a garden or flowering shrubs and vines. These locations are natural attractions to the hummingbird. As they check these areas for food they will discover the welcoming hospitality of your feeders. If there is not an abundance of attracting flowers, shrubs or vines nearby, there a simple tip we learned from a friend. 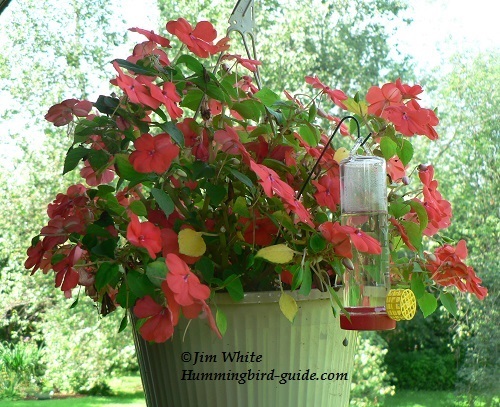 Hang red ribbons from the feeders to initially attract them. 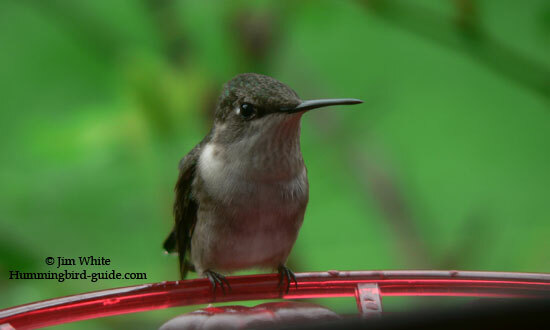 One simple fact is that they all will serve the purpose to attract and feed the hummingbird. 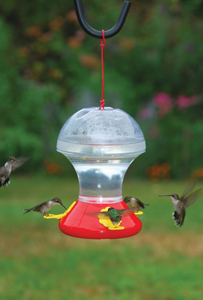 Knowing about hummingbird feeders is knowing how to make the right choices to suit your needs and preferences.